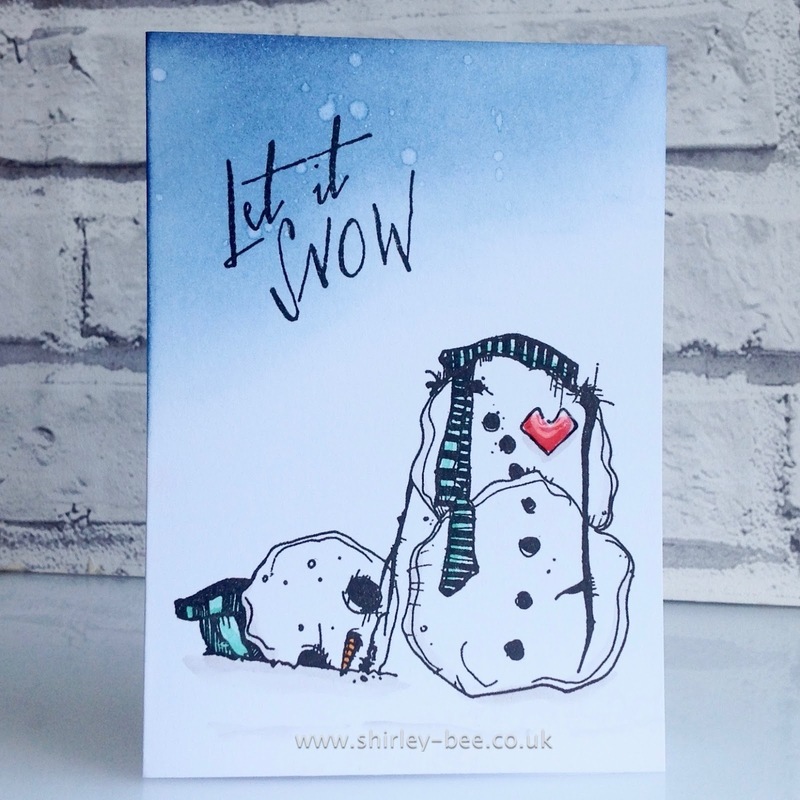 shirley-bee's stamping stuff: (Don't) Let It Snow! It doesn't look one bit QACAS!! Fantastic design ... poor fella! Ha ha ha, that is one funny snowman! Don't worry, NOBODY wants snow right now, although its pretty darn cold in NJ for this time of the year :( but you'll be happy to have one more card in your stash once the time comes...right? Thanks for playing with us at MCV! Ha! What a fun (and funny) little card! Love the image and the stormy sky! So glad you joined us at MCV this week, Shirley! So funny! This little fella needs a bit of help 'getting his head into the game' !!! Love your sky and love the pop of red! OH MY....just love your card! Snow much fun. Poor snowman! He looks how I feel, of late! Maybe we both need help getting our heads back on straight! Fantastic!